Comparisons are what makes the game more interesting along with providing us with an untapped perspective to look at elite talents. Surely all players play under different circumstances for different franchises in different cities, but parallels can always be drawn when traced back to the common ground known as basketball. 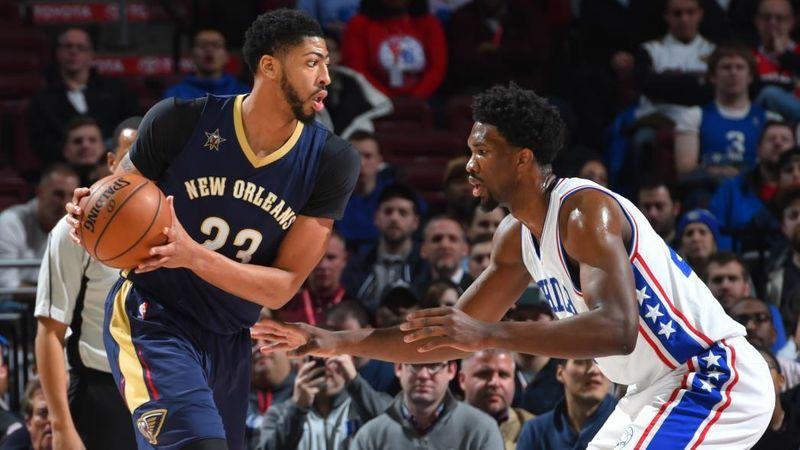 For this piece, we'll see how Joel Embiid and Anthony Davis stack up against each other when their respective 2018-19 seasons are juxtaposed. They've both been phenomenal in their approach towards the game and have grown exponentially with every passing game they played. Any franchise would literally sell their roster off to have one of them come play for their city. The qualities and skills they have amassed over such a short period of time are worth applauding and deserve to documented. Moreover, what makes this comparison credible enough is the fact that they play the same position (forward-center) for their teams and are two of the most talented big men ever produced by the NBA. 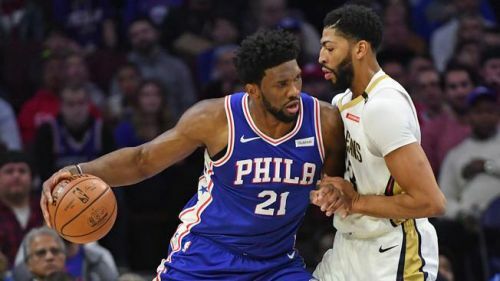 Let's dive in and try to make sense of this duel from an unbiased viewpoint, considering only their 2018-19 seasons so far. Now in his 7th season in the NBA and already a 6-time All-Star, Davis has clearly been getting it done for quite some time now. However, for the ongoing season, JoJo leads AD when it comes to scoring on a nightly basis. Both these men dominate the paint and crash the boards for fun resulting in both averaging solid doubles-doubles across the 50+ games played so far. Davis lags behind by more than a rebound a game but makes up for it with his defensive intensity. He has piled up a total of 86 steals so far while the Cameroonian has managed only 39. He also has around 20 more blocks than the Philly big man and averages nearly 2.5 per game in that aspect of the game. Davis leads the FG% war by a sliver of a margin, converting shots at a rate of 51.5% in contrast to Embiid's 48% from the floor.